Sorry, for the question. You already told me the answer to that. Okay, I'm taking a break, see you later..
"Believe nothing, no matter where you read it, or who said it, no matter if I have said it, unless it agrees with your own reason and your own common sense" - Buddha? "Data! Data! Data!" he cried impatiently. "I can't make bricks without clay." Okay, good to see you! Me too! 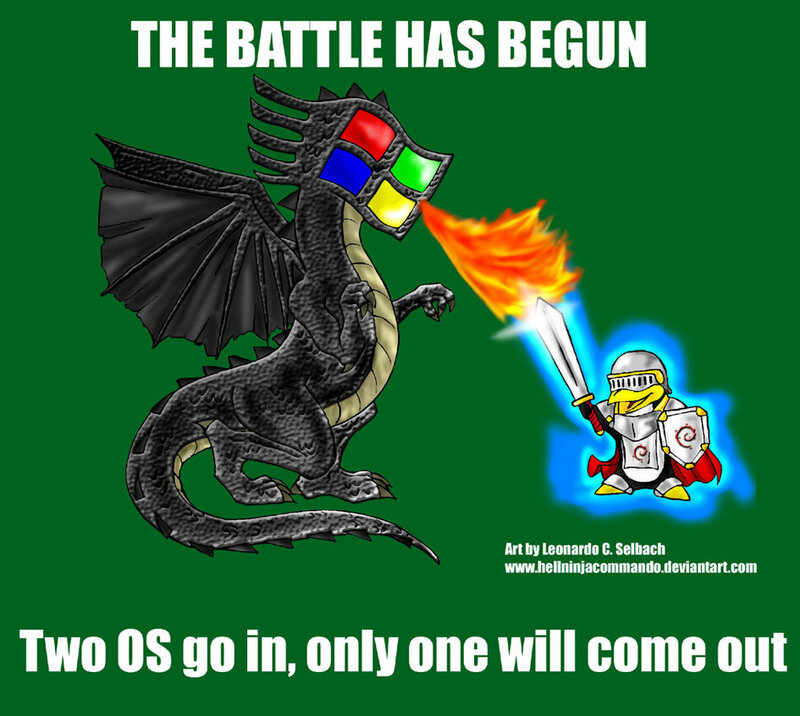 Used a windows machine about 3 days ago and did not miss it. The knight part on the right is a bit corny but the LHS is just right! 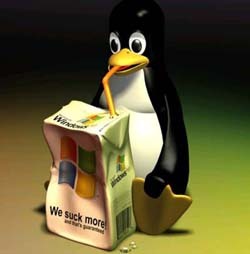 That penguin had better regurgitate that windows ooze before it kills him. Too late, the penguin keeled over.